Finally, a pink intended for adults. 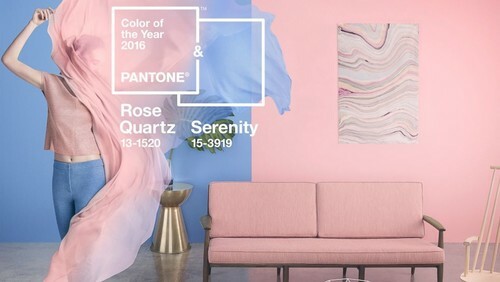 Pantone has named Rose Quartz as one of two colors for their 2016 color of the year. 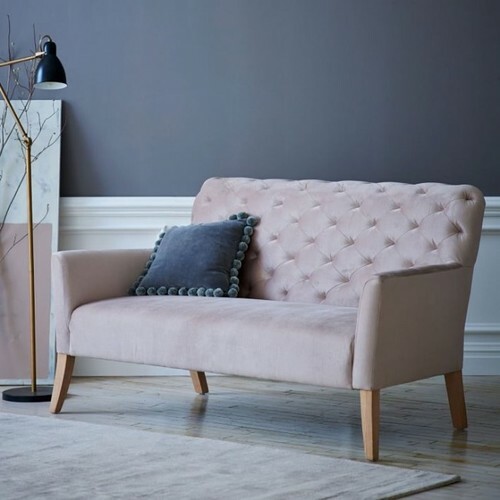 So, if you have always wanted a pink hue in your home, but were afraid that it would look too little girlish, you may want to check out this mature tone. 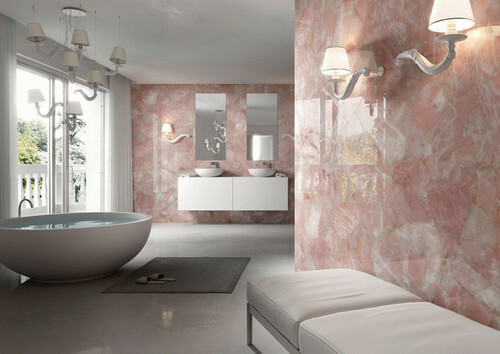 The hue derives its name from the actual Rose Quartz stone. As you can see, there are a variety of shades within this material. The color is a soft, almost antiqued pink that has undertones of brown. But don’t think this is your average little girl color. This shade can work in a lot of different rooms. One of the more popular ways of incorporating this color into home decor is by way of an accent piece, such as this chair. 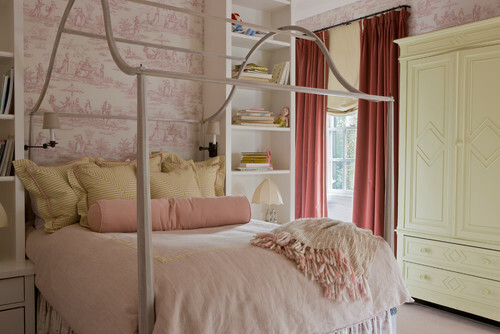 You’ll notice that the Rose Quartz has also been carried over to the daybed and the artwork above it. Here you can see the soft Rose Quartz as combined with a darker version of Serenity, also a 2016 color of the year. Another way to accent with this shade is to use it for window treatments. As you can see, this room is full of neutral shades of beige and gray. Rose Quartz is a great way to add a quick color change without actually having to change the paint or furniture hues. This bedroom has this soft hue wallpapered to the walls. Again, you can see that the rest of the surroundings are done in neutral shades of beige and off whites. It also works well as just an accent wall color. 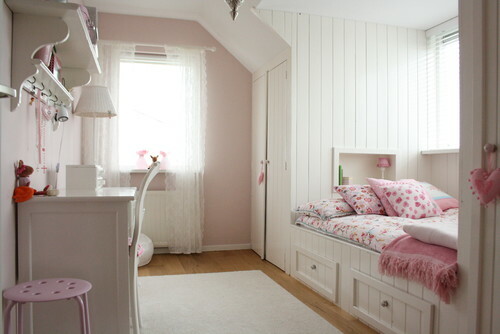 Here the pale toned wall works well with the other brighter and bolder shades of pink. Consider adding it as a ceiling color. 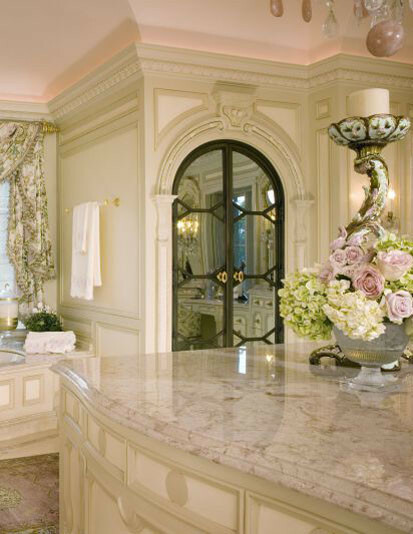 It can create a very soft and feminine atmosphere, which works well in bathrooms. 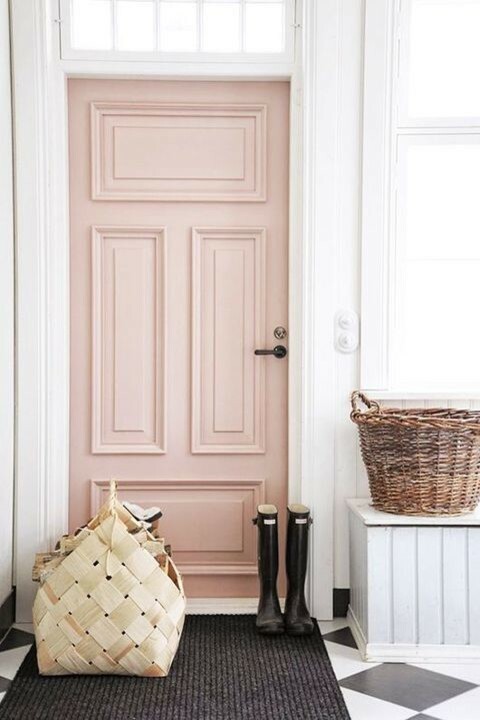 This Rose Quartz door, surrounded by the stark white trim, really shows of the color in a true light. Bedrooms are probably one the most popular rooms for using Rose Quartz as a theme. 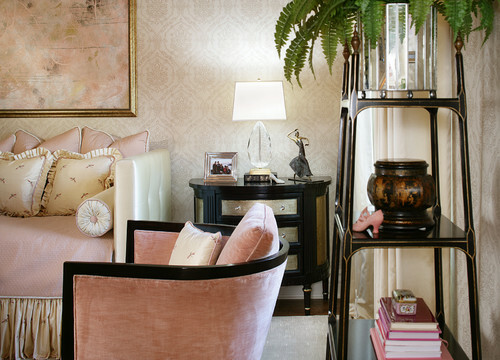 The feminine tones create a serene setting that can work for people of all ages. Bathrooms are a very close second when it comes to rooms. As you will notice, this color just exudes both French Country and Victorian styles. Although this image is actually a guest bedroom, it is easy to see how this color can be utilized in a living room. Depending on the shade, the color can create a mature setting or a bright youthful room. 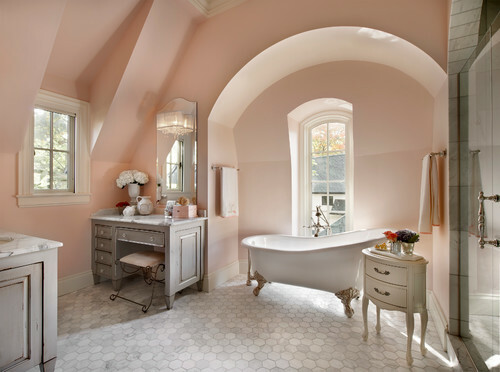 I hope these Rose Quartz 2016 color of the year ideas have inspired you. If so, feel free to share this article, and don’t forget to pin it!